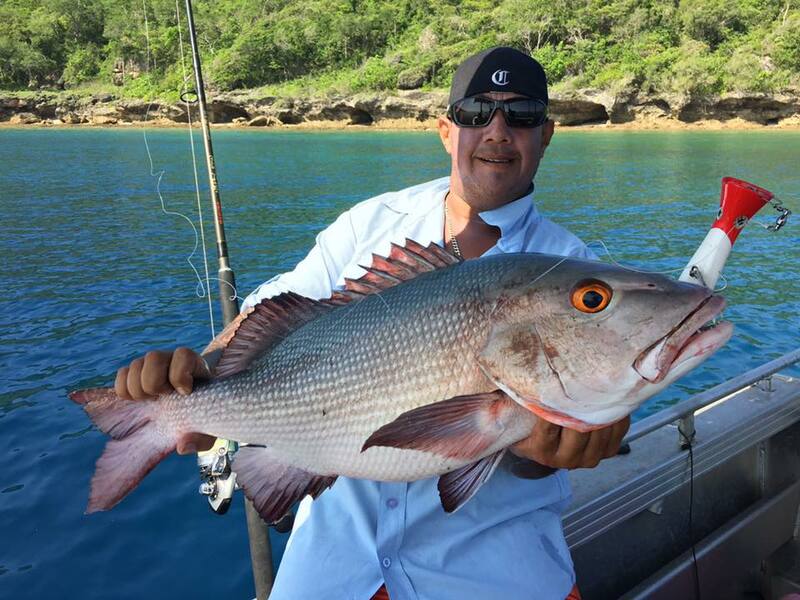 Our aim is to give you an unforgettable day’s fishing – whether you are a beginner or an experienced angler. some of our favourite fishing spots. We will anchor on various reefs, trawl and throughout. 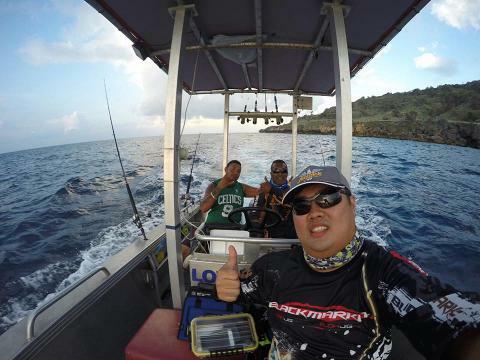 We target the whole range of reef fish in the coral triangle including Golden Snapper, Rock Cod, Tricky Snapper, Jewfish, Coral Trout, Red Emperor, Stripeys and many more. 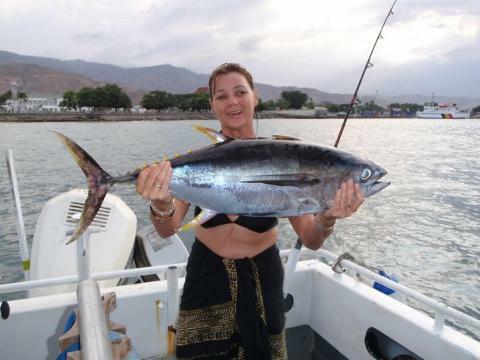 We will also put baits out for Spanish Mackerel, Tuna, Cobia and Giant Trevally. Any fish you choose to keep will be cleaned, gutted and gilled if you wish to take your catch home. 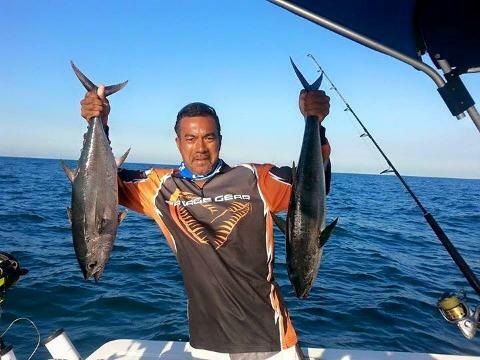 Get some friends together and come on out, to ensure your comfort we take a maximum of 4 fisho's in any charter. Departure times vary depending on the tides, the charter is about 4 hours duration.